The need to throw on a crazy amount of layers just to stay warm no longer seems necessary, and that can only mean that Spring is that much closer to becoming a reality. 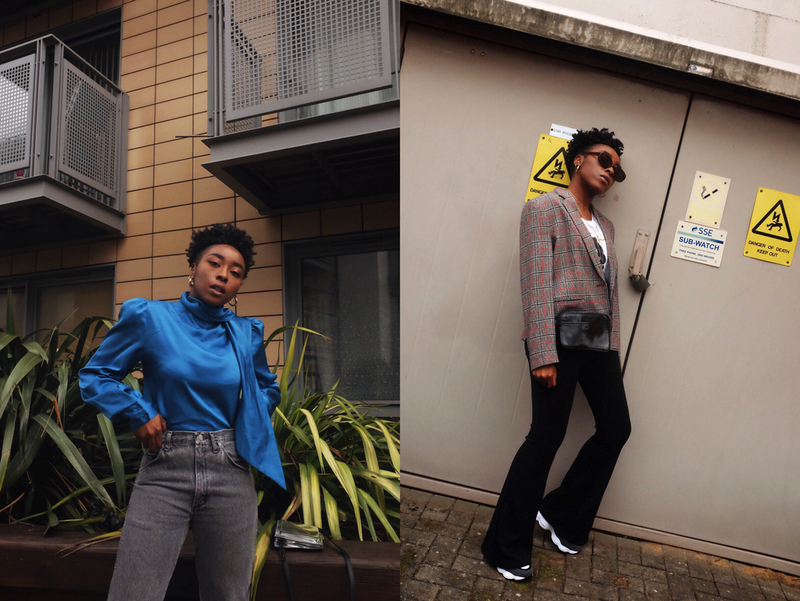 I've recently had the pleasure of updating my wardrobe with a few vintage pieces from Rokit–perfect timing in the come up to Spring, as the wardrobe has been in need of a refresh! For those who don't know, Rokit is a vintage clothing brand, which specialises in hand-picked fashion from the 1930s to 1990s, with a mix of every style from military to festival– a perfect destination for the style savvy. 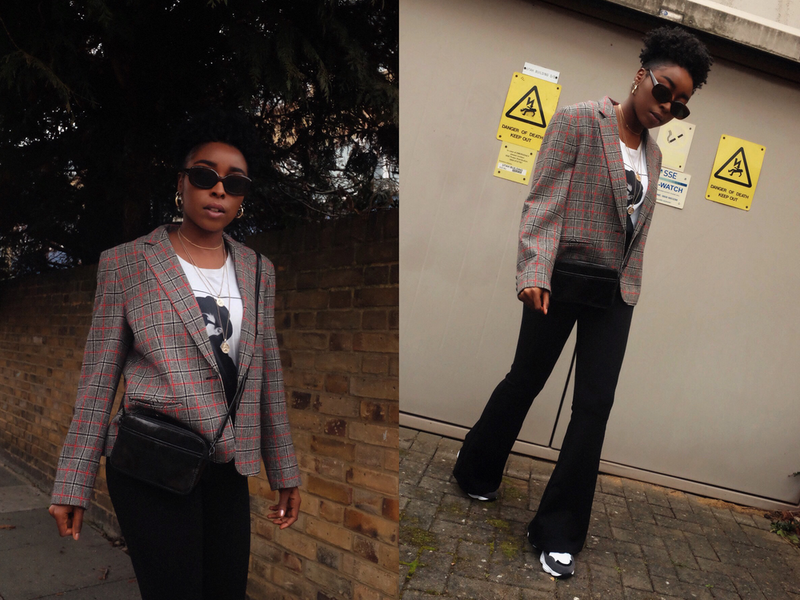 When picking out favourites, I had in mind what particular pieces in my current wardrobe were in need of an update, and it boiled down to my blazers, jeans and shirts/blouses. Blazers have always and will continue to be a thing for me. There's no denying that they can take one from basic to chic in a matter of seconds. The style options are endless and I've been particularly drawn to those with a checked print at the moment, so I knew that this grey number with red and black details was the one as soon as I laid my eyes on it. The oversized, boxy mid-cut fit is something I haven't seen anywhere else in a while! I've always been a fan of the 'jeans and nice top' movement', a super stylish and easy outfit option for day and evening plans. My favourite type of tops/blouses are those with a silk or satin finish. They always look more expensive than they are worth and so easy to style. Rokit have a ridiculous amount of gems when it comes to satin and silk blouses!